Once the reserve of highly-skilled, specialist cameramen, rapid developments in modern technology and news gathering means that every journalist must now be well-versed in the use of broadcast equipment. But how do you become a broadcast journalist? 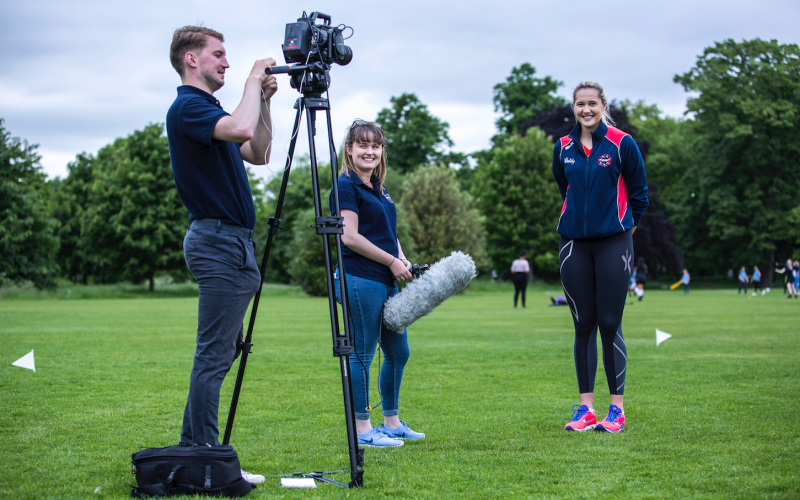 From filming to editing, b-roll to voiceovers, a modern reporter is expected to possess the ability to go into the field alone and shoot a video at any time. Does the video fit the story? Make sure your story suits video. While video is a crucial asset is the digital age, it mused be used well for maximum impact. Protests, demonstrations, events and physical activities are often the best for video, with lots of action and energy to shoot. Other stories may not lend themselves to the visual medium as readily, and may require more forethought and planning to illustrate correctly. Whether shooting for a website or for a broadcast TV station, it is always best to keep your video package as simple as possible. As long as your voiceover is informative, your interview concise and your b-roll visually engaging, your video will do its job perfectly. You’re not shooting a Hollywood blockbuster or an art school project, so fades, snazzy graphics and pop music are all unnecessary. Ensuring your interviewees are well-framed and your voiceover is clear is far more important, and will be what a broadcast video is judged upon. Before you jump into your car and head off to shoot your news report, make sure you know what you want. Will you be filming somewhere quiet? Will there be enough natural light? Do you have permission to film there? Whenever you film, it is important to be well-prepared and have a clear plan for your package. In such a fast-paced industry, being able to quickly and effectively plan, shoot and execute your ideas is an essential skill. After shooting four interviews and hours of b-roll, it may seem an impossible task to trim it all down into a three-minute video. Yet extensive research shows how quickly attention spans can drop after the first minute, especially if your video is for the internet. Be ruthless, be focused on your subject and don’t convince yourself the video has to be ten minutes long. Looking for the best mobile journalism editing apps? Click here. What are your top tips for getting into broadcast journalism? Let us know in the comments!